I have two calendars. Personal, using Google’s Calendar, and work via Exchange. I’ve been doing perfectly fine for a long time now with this simple setup. My phone shows both calendars together thanks to an app called Nine which I use for Exchange email. No issues at all here. However, Sunrise Calendar keeps popping up everywhere. 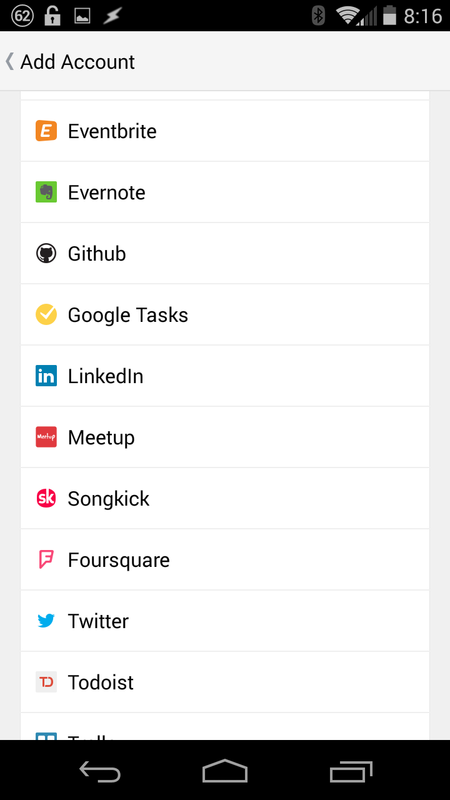 Most recently, I saw the app’s name once again in an email from Wunderlist, stating their apps can now work together. So what’s the deal here? Why would I want this? The answer to these questions was quickly apparent after I installed Sunrise Calendar to my phone (again, after a year’s time). 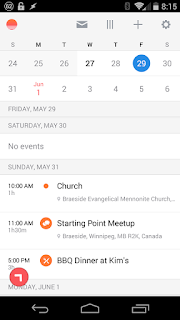 It wasn’t long before I understood Sunrise Calendar isn’t trying to repeat the Google Calendar app or web app with a better looking UI. No, it’s trying to get nearly everything into your calendar into a nice, well organized collection. Their vision just became clear to me. 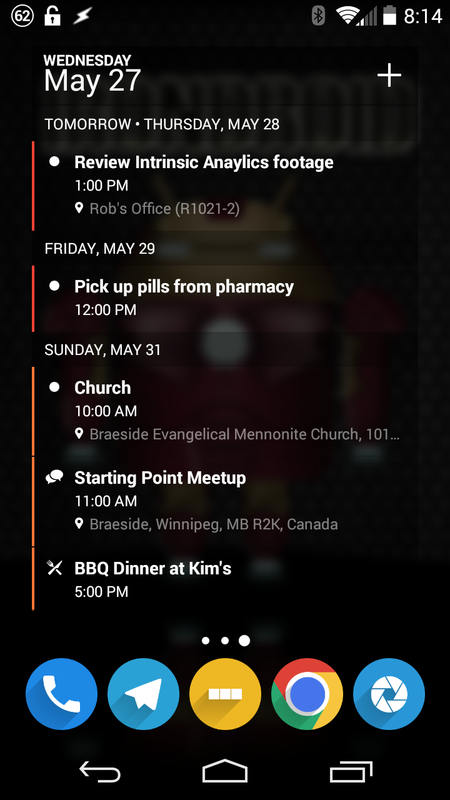 Now I want to keep Sunrise Calendar on my phone, use the web app, and also add the app to my tablet. You see, I have more “events” going on in life than just on Google and Exchange. On Facebook, I often am part of Events that are created. 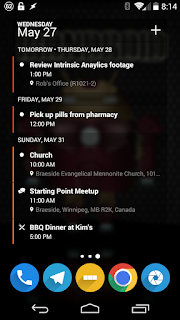 Seeing that I do not have Facebook on my phone (it eats the battery) these events can slip by. Now, I see them in Sunrise. My family, friends, and acquaintances’ birthdays all show up too. I am a Wunderlist user. If any of my to-do’s have a deadline attached, they’re now showing up in Sunrise. Okay, this is pretty slick. 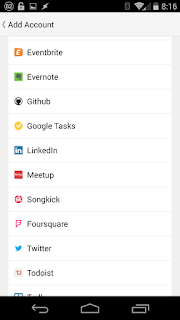 Google Calendar offers to add other subscribed calendars, such as birthdays, holidays, and the like. Sunrise does this too but seems to take it to another level. 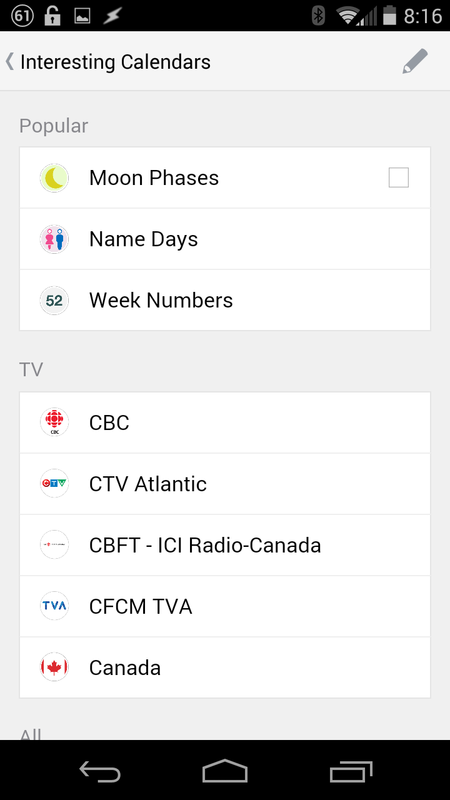 You can add TV shows to your calendar even. Now the next time Flash, Arrow, or Agents of Shield start up again on CTV, I’ll get that heads-up on my phone and tablet. Easy as pie. If you're one to wants to access your own calendar(s) on your desktop, Sunrise even has a web app available, which works very well. 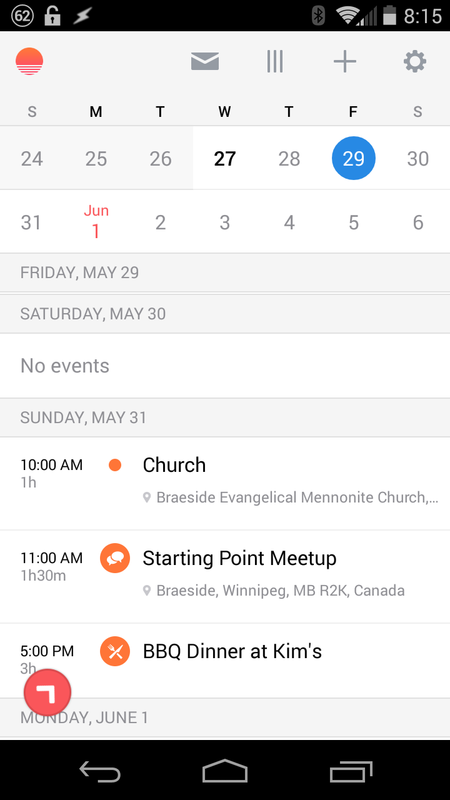 So if you've been curious about this app, but thinking Google’s Calendar is enough, I recommend giving Sunrise another go. Especially if you’re using other compatible services. 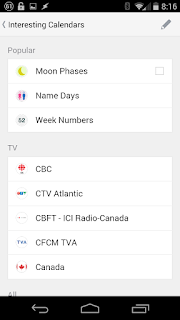 Sunrise Calendar is available for free on Google Play.